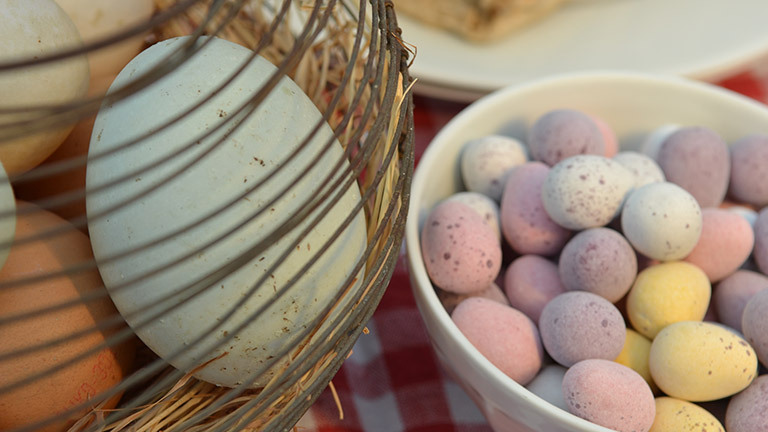 Easter for Christians around the globe signifies the resurrection of Jesus, but for many, it also signals the beginning of spring, longer daylight hours, spring flowers and new birth, plus, of course – chocolate! Countries across the world celebrate this important calendar date with their own traditions and festivities from the traditional trip to church to the darn right weird and bizarre. The British consume a whopping 80 million Easter eggs which children love to find on Easter Eggs hunts. Other traditions across the UK include Easter Bonnet Parades with prizes for the best-decorated hat, and crowds gather to watch Morris Dancers dressed in ribbons and bells wave wooden sticks and colourful hankies as they perform ancient folk dances. 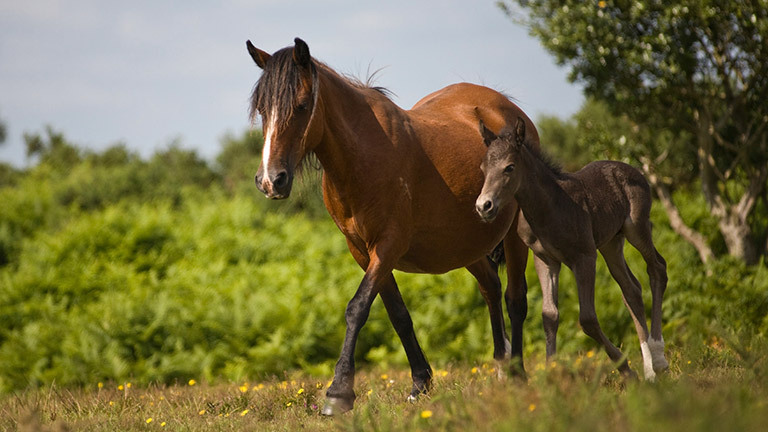 Why not head down to The New Forest National Park for an Easter break where you can see all the traditions mentioned above, as well as the famous free roaming New Forest ponies and their foals. Click here to find your perfect New Forest cottage to rent this Easter. Children love the Finnish Easter tradition of wandering the streets dressed in magical black costumes, complete with broomsticks, in search of sweet treats – very similar to Halloween. Finnish Folklore says that witches fly about on their broomsticks to meet up with Satan, so bonfires are lit to scare away all the evil spirits, leaving the Finnish population free to eat as many goodies as they can. Easter holds a particularly bizarre tradition for the Slovak men; who use this calendar date to whip their women and drench them in water! It’s all done in good spirits with ‘whips’ of willow decorated with brightly coloured ribbons that are not used in a painful way. Legend has it that playfully whipping a woman and splashing her with water encourages her strength, beauty and youth for the birth of spring. Some women are lucky to have males sprinkle them with perfume instead. Cameras at the ready if you’re spending Easter in Bermuda. This Atlantic island celebrates Good Friday toasting hot cross buns and making brightly coloured home-made kites. Tradition says the kites should be a cross with a long tail as a nod to Christ’s ascension, but nowadays the kites are all shapes and sizes and not always hand-made, but they do make for a spectacular sight. The Greeks like to colour their eggs red at Easter to symbolize the blood of Jesus, but the holiday island of Corfu takes Easter traditions one step further with Easter Saturday pot throwing. It’s not just pots – pans, vases and plates can be added to the arsenal of objects thrown out of windows on to the streets below. Locals take part to ward off evil spirits and honour a new crop harvest which will grow in the replacement pots. Locals realised that chocolate eggs don’t do well in their humid climate and tropical rain forests, so opted for what they thought was the next best thing – trees. 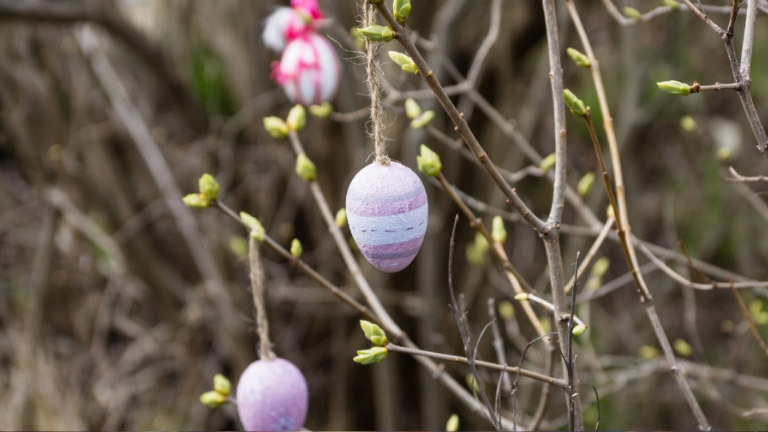 At Easter, they decorate small trees with tobacco sticks and cigarettes by Christian churches and offer the tree’s contents to the congregation at the end of Easter services. Another, but very different, form of Easter Tree from Germany is the ‘Osterbaum’. In fact, the Easter Tree can be seen in similar guises throughout many Eastern European and Scandinavian countries and is said to symbolise growth, life and fertility. An Easter Tree can be indoors or outside. Easter Trees outside tend to be a large bush or small tree, inside it’s a vase filled with branches or twigs. The trees are decorated with colourfully dyed eggs. These can be hollowed out real eggs, plastic or wooden in bright ribbons with feathers and small Easter novelties. In the Central American country of Guatemala over Easter you’ll see beautiful, intricate carpets made from coloured sawdust embellished with fruit, flowers and plants. The creations can be up to a mile or more in length and take weeks or even months to make. They are intended to cover pebbled streets and uneven roads in preparation for Easter, when churchgoers may walk across the carpets on their way to mass. Paraguayans love family time, children and chocolate, which is as popular in Paraguay at Easter as it is here in the UK. Although, in Paraguay, families tend to buy one huge chocolate Easter Egg to share after dinner. There’s a quirky Easter tradition that takes place in Paraguay family households over Easter which is to playfully smack children on the bottom and shout “Pascuas!” – which is “Easter” in Spanish. The Brazilians make life-size straw dolls on the lead up to Easter, but they aren’t for little ones to play with. These ‘Guy Fawkes’ style dolls are made to represent Judas. The country takes great pride in parading the effigies through the Brazilian streets and countryside before their bonfires. 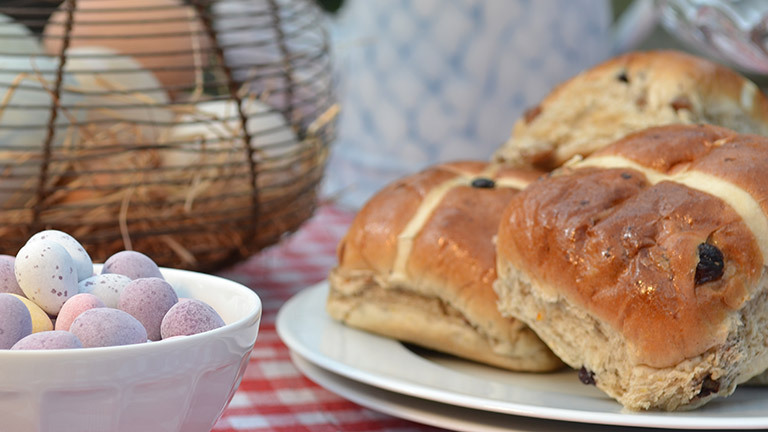 Book a holiday in the New Forest this Easter and create your own Easter traditions. Click here to take your pick from over 150 holiday cottages in the New Forest.